Year 1868 (MDCCCLXVIII) was a leap year starting on Wednesday (link will display the full calendar) of the Gregorian Calendar (or a leap year starting on Monday of the 12-day slower Julian calendar). January 3 - Meiji Emperor declares "Meiji Restoration", his own restoration to full power, against the supporters of the Tokugawa Shogunate. January 6 - Asa Mercer and number of new "Mercer Girls" sail from Massachusetts for West Coast - they arrive in Seattle on May 23. January 10 - Shogun Tokugawa Yoshinobu declares emperor's declaration "illegal" and attacks Kyoto. Pro-Emperor forces drive his troops away. Shogun surrenders in May. February 13 - The War Office sanctions the formation of what will become the Army Post Office Corps. February 16 - In New York City the Jolly Corks organization is renamed the Benevolent and Protective Order of Elks (BPOE). February 24 - The first parade to have floats occurs at Mardi Gras in New Orleans. February 24 - After Andrew Johnson tried to dismiss United States Secretary of War Edwin M. Stanton, he becomes the first President of the United States to be impeached by the United States House of Representatives. Johnson would later be acquitted by the United States Senate. March 1 - The Pi Kappa Alpha Fraternity is founded at the University of Virginia. March 23 - The University of California is founded in Oakland when the Organic Act is signed into California law. March 24 - Metropolitan Life Insurance Company is formed. March 27 - The Lake Ontario Shore Railroad Company is organized in Oswego. April 9 - Emperor Tewodros II of Ethiopia massacres at least 197, perhaps more, of his own people at Magdala. These were prisoners who had been, for the most part, incarcerated for very trivial offenses, and were killed for asking for bread and water. April 10 - A British-Indian task force inflicts 700 deaths and a crushing defeat on the army of Emperor Tewodros II of Ethiopia in the Battle of Magdala. The British and Indians suffer 30 wounded, 2 of whom die subsequently. April 13 - The Napier Expedition ends with the suicide of Tewodros and the capture of Magdala by the British-Indian task force. May 16 - President Andrew Johnson is acquitted during his impeachment trial, by one vote in the United States Senate. May 30 - Memorial Day is observed in the United States for the first time (it was proclaimed on May 5 by General John A. Logan). June 2 - The first Trades Union Congress is held in Manchester, England. July 5 - Preacher William Booth establishes the Christian Mission, predecessor of the Salvation Army, in the East End of London. 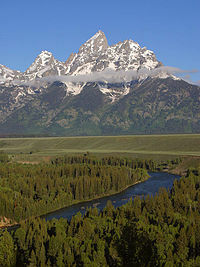 July 25 - Wyoming becomes a United States territory. August 18 - Helium is discovered by French astronomer Pierre Janssen (and independently by Joseph Norman Lockyer on August 20). August 20 - Abergele Train Disaster: Irish Mail passenger train collides with 4 cargo trucks loaded with paraffin: 33 dead; first major train disaster in Britain. August 22 - Yangzhou riot in China targets station of the China Inland Mission and nearly leads to war between Britain and China. September 18 - First convocation of the University of the South in Sewanee, Tennessee. September 23 - Rebels in the town of Lares declare Puerto Rico independent. Local militia defeats them a week later. late September - Queen Isabella II of Spain is effectively deposed and sent into exile; she will formally abdicate June 25, 1870. October 10 - Carlos Manuel de Céspedes declared a revolt against Spanish rule in Cuba in an event known as El Grito de Yara, initiating a war that lasted ten years. Cuba would ultimately lose the war at a cost of 400,000 lives and widespread destruction. October 28 - Thomas Edison applied for his first patent, the electric vote recorder. November - Ulysses S. Grant defeats Horatio Seymour in the U.S. presidential election. November - John Christoff Reichert purchases the home at 506 South Seventh Street, Terre Haute, Indiana, from John S. and Amanda Jordan, for the sum of $450. November 2 - New Zealand officially adopts nationally observed standard time, and was perhaps the first country to do so. November 27 - Indian Wars: Battle of Washita River - In the early morning, United States Army Lieutenant Colonel George Armstrong Custer leads an attack on a band of Cheyenne living on reservation land with Chief Black Kettle, killing 103 Cheyenne. December 25 - US President Andrew Johnson grants unconditional pardon to all Civil War rebels. Establishment of the Académie Julian - a major art school in Paris that admitted women. Brisbane Grammar School was founded, providing the opportunity for secondary education for the first time in the colony of Brisbane in Australia. 230 people were married in 1868. There were 0 military battles in 1868. This page uses content from the English language Wikipedia. The original content was at 1868. The list of authors can be seen in the page history. As with this Familypedia wiki, the content of Wikipedia is available under the Creative Commons License.